McClellan’s First Campaign, the 3rd volume of Russel Beatie’s masterful series, covers the pivotal early months of General George McClellan’s Peninsula Campaign through the siege of Yorktown, the pursuit toward Richmond, and the fighting at Williamsburg. As he did in his first two volumes, Beatie tells the story largely through the eyes and from the perspective of high ranking officers, staff officers, and politicians. 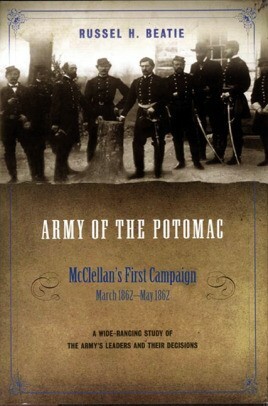 This study is based upon extensive firsthand research (including many previously unused and unpublished sources) that rewrites the history of Little Mac’s inaugural effort to push his way up the peninsula and capture Richmond in one bold campaign. In meticulous fashion, Beatie examines many heretofore unknown, ignored, or misunderstood facts and events and uses them to evaluate the campaign in the most balanced historical context to date. Every aspect of these critically important weeks is examined, from how McClellan’s Urbanna plan unraveled and led to the birth of the expedition that debarked at Fort Monroe in March 1862, to the aftermath of Williamsburg. There were many reasons why the march to Richmond did not move as expeditiously as many hoped it would, though until now, few of these reasons have been satisfactorily (or even fairly) explored. President Abraham Lincoln’s interference, both politically and militarily, argues the author, lengthened considerably McClellan’s odds of success. Just one example was the president's tampering with the corps command structure. Lincoln's experiment undermined his army commander by elevating the wrong men to positions of importance, a sad fact amply demonstrated by the inept leadership displayed before Yorktown and during the important fighting at Williamsburg.Beatie is the first author to deeply investigate and expose the role of the Navy in the Yorktown episode. His sweeping and convincing conclusion is that if the Navy had done what it promised it would do—what it could have done, but refused to do—Yorktown would have fallen weeks sooner than it did. McClellan’s First Campaign is a story about the men in command—their knowledge, intentions, successes, and failures. To capture the full flavor of their experiences, Beatie employs the “fog of war” technique, which puts the reader in the position of the men who led the Union army. The Confederate adversaries are always present but often only in shadowy forms that achieve firm reality only when we meet them face-to-face on the battlefield. Well written, judiciously reasoned, and extensively footnoted, McClellan’s First Campaign will be heralded as the seminal work on this topic. Civil War readers may not always agree with Beatie’s conclusions, but they will concur that his account offers an original examination of the Army of the Potomac’s role on the Virginia peninsula. Russel H. "Cap" Beatie graduated from Princeton University and Columbia Law School, has been a trial lawyer in New York City for more than three decades, and is the author of several articles and books, including Road to Manassas (Cooper Square, 1961). His interest first began at a young age when he read Douglas Southall Freeman's Lee's Lieutenants. A Kansas native and former lieutenant in the field artillery and infantry, Cap has lived in the New York City area most of his life. He is currently writing the fourth volume of this series. 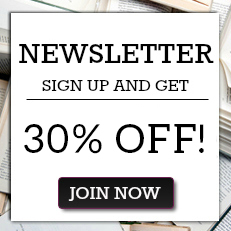 "...If you want to understand the war in the east, this series is essential. ...we really have our hands on the most detailed, most challenging, and perhaps the most controversial scholarship for this period to date."